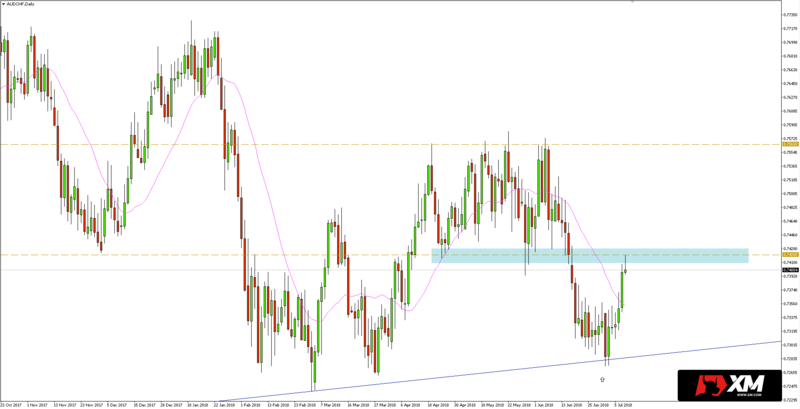 The AUDCHF for the last four weeks was seting new lows. As can be seen in the chart below, key support – the trend line running from June 2016 low was tested last week. The said test turned out to be positive, and the week closed at a higher level than the opening, thus absorbing all previous supply. This also led to the formation of a bullish pin bar, which can be confirmed by increases that have been visible since the beginning of this week. In turn, after switching to the daily chart, we can see that the stock has reached an important resistance today at 0.7420. It is from its defeat that the fate of the further expansion of the bulls may depend. Closing the session above the area at 0.7420 will open the way for a growth towards 0.7565, where there are maxima from the last three months. 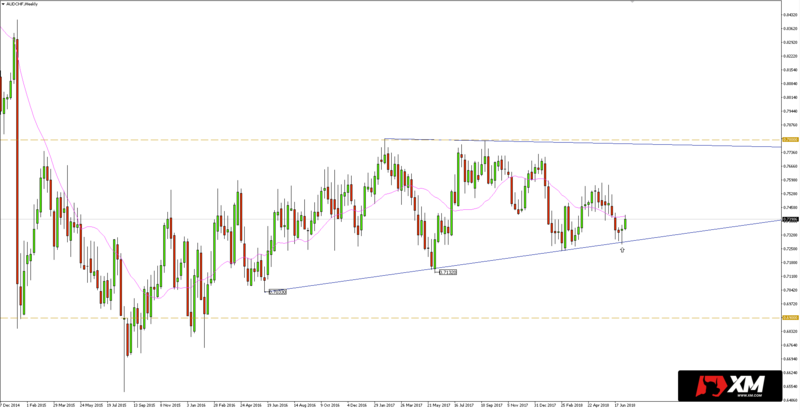 In turn, if this resistance is maintained, there is a risk of re-testing of the trend line mentioned at the beginning.